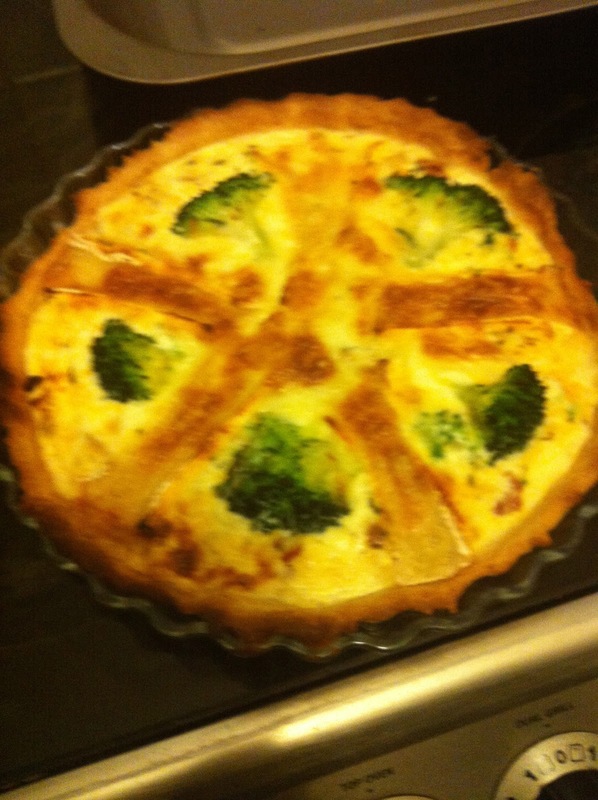 Do not fear, because I made quiche! I can hear your excitement, really I can. I know, quiche is no where near as exciting as profiteroles (I've spelt it wrong again, thank goodness for spell check!) but when you pull this out of your oven, your friends will just faint with amazement. I decided to make a brie, bacon and broccoli (another word I can't spell!) quiche. 1. First up we need to make the pastry. It is so much easier to do it in a food processor, but if you don't have one (I don't) it is fine to do it by hand. You need to rub together the butter and the flour until you have made breadcrumbs (you need to be patient as this does take time). Then you need to slowly add some cold water (1 tablespoon at a time) until the mixture starts to form a dough (don't add to much water, the drier the mixture the better). Place this in a freezer bag and put in the fridge until needed. 2. Next we need to make the filling. I would start by chopping up the onion, and placing it in a frying pan of hot oil. Whilst that is browning you can cut up your bacon into small pieces and add that to the onions. Season with cayenne pepper, paprika, mixed herbs, and salt and pepper. Leave to soften. 3. Whilst this is happening, you need to chop up your broccoli into florets and place in a pan of boiling water, until cooked. Drain well, as you don't want excess water in the quiche. 4. Once the pastry has been in the fridge for at least 20 minutes, you can bring it out and roll it thinly onto a floured surface. Then place it into your quiche dish, prick with a fork and then cover with greaseproof paper and baking beans. You are now going to bake it blind for about 10 minutes at 200 degrees, or until the pastry is cooked all the way through. 5. Whilst the pastry is cooking, you can make your egg mixture. All you need to do is whisk together the eggs, milk, salt and pepper, and cheese. 6. 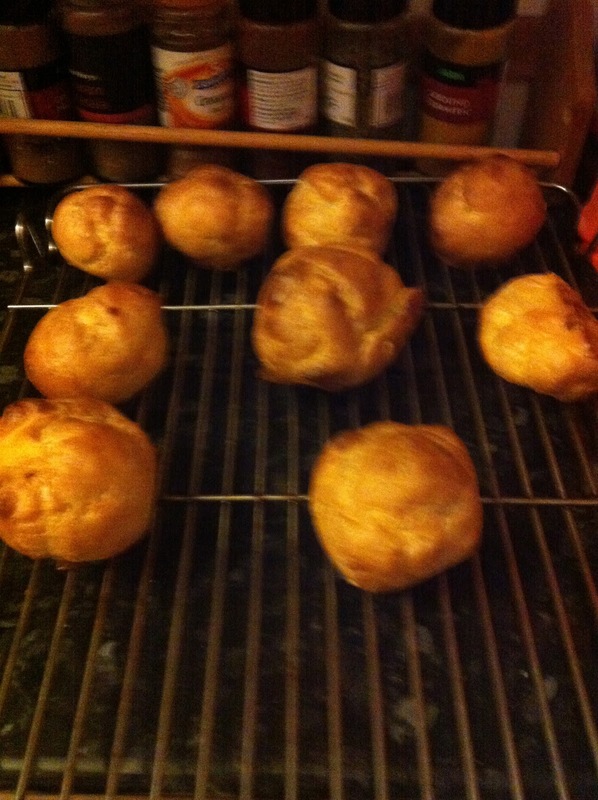 Once the pastry is cooked, bring it out of the oven and remove the greaseproof paper and baking beans. Spread the bacon and onion mixture on the surface of the pastry and arrange the brie and broccoli in a nice pattern. Cover with the egg mixture, making sure it doesn't overflow. Place it in the oven at 180 degrees for about 20/30 minutes. You don't want the mixture to wobble when it is cooked (if it is burning too quickly on the top, you can place some foil on top). 7. Finally, all you need to do is eat it!